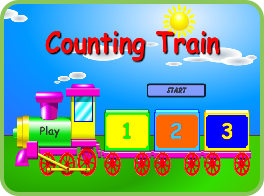 Counting Train Learning to count is fun, help the toys take a ride on the counting train. 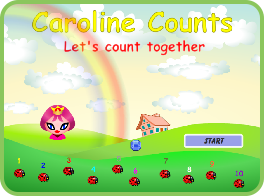 Caroline Counts Counting to 10 is fun with Caroline. Help her count the ladybugs in her garden. 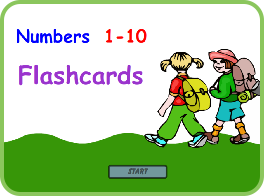 Numbers 1-10 Learning the numbers can be fun with these animated Flashcards.